This site by Your Majesty Co. is not only a great idea, but also a really beautiful website. The idea: MGM Resorts in Las Vegas wanted to make weddings feel more universal and relatable (as a prime wedding destination of course) and so they enlisted a number of famous recording artists to put their own, modern spin on classic wedding songs. This entry was posted in Multimedia and tagged Digital, MGM Resorts, Multimedia, Web Design, weddings, Your Majesty on June 29, 2018 by stellenboschacademy. To launch their new trainer, the Nike React, Nike enlisted the help of Wieden+Kennedy and Media Monks to create an installation / activation in LA like no other! With custom built treadmills and a virtual reality rig, they made a real-world game where people were motion tracked as they played a game on the screens in front of them. Sound complicated? That’s because it is! This video below explains it so well. What better way to launch a new shoe, but showing people exactly what it can do! This entry was posted in Inspiration, Multimedia and tagged Activation, Game of Go, Inspiration, Multimedia, Nike on June 27, 2018 by stellenboschacademy. There’s nothing we love more than seeing the students and lecturers at the Stellenbosch Academy do well and this piece of news covers both! Marike le Roux (our HOD for Discourse and Illustration) and Monique Groenewald (a third year student) entered thePicture This! International Children’s Book Competition 2018 in May. We’ve just heard that they are winners! Each year only three illustrators are chosen from each country (SA, UK, Belgium / Netherlands and Germany) and with both Monique and Marike winning, two out of the three SA winners are from the Academy! Amazing work – we’re so proud! You can learn more about their achievements here. This entry was posted in Academy Work, Illustration and tagged Children's Books, Illustration, Picture This! 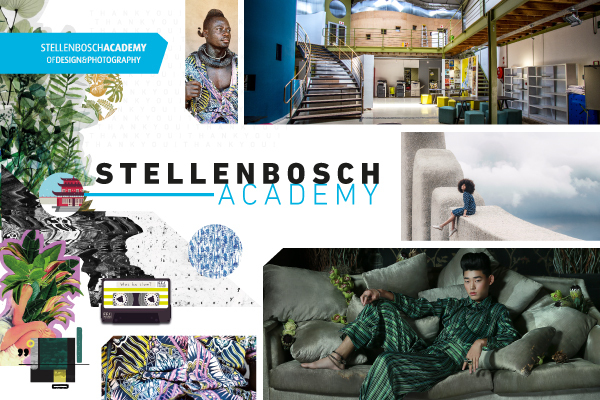 on June 25, 2018 by stellenboschacademy. This campaign by thjnk Zurich for Bio Suisse uses some really smart visual thinking along with great illustration to get its point across. It’s a rather complicated point to communicate – that organic food production is also good for local animal life. There must be an endless number of ways one might be able to represent this visually, but this route chosen by thjnk is really clever. These foods which can stand in for parts of these local animals are just perfect! This entry was posted in Art Direction, Illustration and tagged Art Direction, Bio Suisse, Illustration, print, thjnk on June 25, 2018 by stellenboschacademy. Max Miechowski is a young photographer from Lincoln in the UK, who now lives in London, plying his trade and taking some beautiful portraits. We love these perfectly considered portraits of real people, capturing their personalities with just one image. And let’s not forget the incredible use of light in these images. We can’t wait to see what Miechowski will get up to next! This entry was posted in Photography and tagged Lighting, Max Miechowski, photography, Portraits on June 22, 2018 by stellenboschacademy. Porona is a Chinese skincare brand with multiple variants based on the plants which go into the final products. This provided designers Ying He and Heng Wang with fertile ground as they created a number of different patterns and designs which speak to each of these plants. We love the mix of premium / luxe looking design with softer, organic illustration. Take a look at the whole range below! This entry was posted in Design and tagged Design, Heng Wang, Porona, Skincare, Ying He on June 20, 2018 by stellenboschacademy. Marc Armand is a French designer and art director who was given the task of graphically representing the new French soccer jersey for the soccer world cup. We absolutely love this work he did, which at once pays homage to traditional French design and typography while also taking inspiration from the technologically advanced fabric of the French football jersey. This entry was posted in Art Direction, Design and tagged Art Direction, Design, France, Marc Armand, World Cup on June 18, 2018 by stellenboschacademy.